Waste Battery Recycling;Waste car and tuck batteries ready to go for recycling almost 95% of these will be recycled a fact that not many people know outside the battery industry an excellent achievement. golf,scooter,mobility,ups and car batteries. What most people do not know is that these types of battery are re-processed and go for Waste Battery Recycling . Almost all these batteries can be made into brand new ones. If you buy your battery from the internet. Then you will probably have to dispose of the old one yourself. 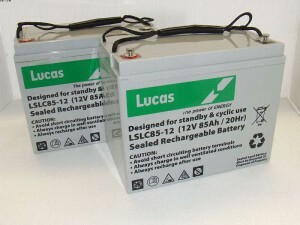 Perhaps, if you are a disabled person you should ask a relative or friend to dispose of the old battery for you. We find that for some reason our customers want to save their old battery. But they deteriorate even further. “While it can be easy to just consider throwing your old battery into the trash, its actually against the law. Most of the UK requires that Waste Battery Recycling should be done through a safe means of disposal. Usually this means taking them back to the store where you purchased them, or finding another available waste disposal. At the moment 95% of waste battery products are re-processed into new ones. These are from the ones that safely make it to the re-processing plant. Some are discarded or just dumped, but the battery re-processing rates are in fact getting higher and higher, which is a great attribute to the industry, from cradle to grave so to speak. While electricity sourcing from storage technologies for renewable energy is only emerging, it could soon become mainstream. The most successful battery at the moment appears to be the AGM battery (Absorbed Glass Matting). This type of New batteries will dis-charge to much lower levels, than a normal wet lead acid battery, the type that is used in cars and trucks. But as we all strive to make renewable energy other methods have started to come to life. By the way one of the best AGM storage batteries on the market are made by Trojan batteries . They are a little more expensive than other makes but they are a heavy duty quality product and well worth looking at if you are interested in building a small bank of solar storage batteries. A new kid on the block will shortly be the development of the Lithium-Ion solar storage unit. The idea has come from the development of the use of New batteries called Lithium-Ion batteries in the electric cars. These storage units will be tailor made as a thing that consumers can just buy and plug in to a solar panel system or a wind turbine. The idea comes from the car maker Tesla, who may work together with Bosch batteriesto produce this product. businesses alike. A typical home owner with solar panels could store the electricity when the cost is at the lowest and then use the electricity stored in the home or business when the rates are at their highest, by using New batteries . I actually have a bank of solar panels on my roof here in the UK and they work really well, even now in November we still produce electricity on a sunny day. My system though goes into the national grid and is bought from us by the electricity provider, but if such storage system came onto the market that was custom made then I would think about changing things around. I have sold New batteries all my working life, but I must confess that these are the most exciting times for change and different battery technologies and inventiveness coming from our Universities and colleges.